Learn how to move topics between different folders for easy access and organization. 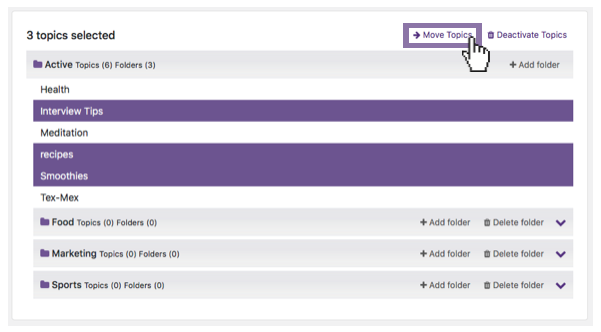 To move topics between folders, begin by accessing the topic management screen which can be accessed in one of three ways. 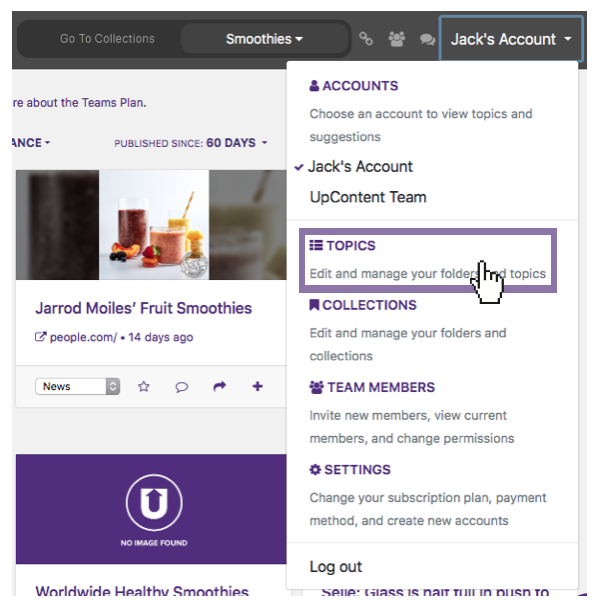 2 - By clicking on "manage my topics" at the top of the drop-down topic menu from the main navigation bar. 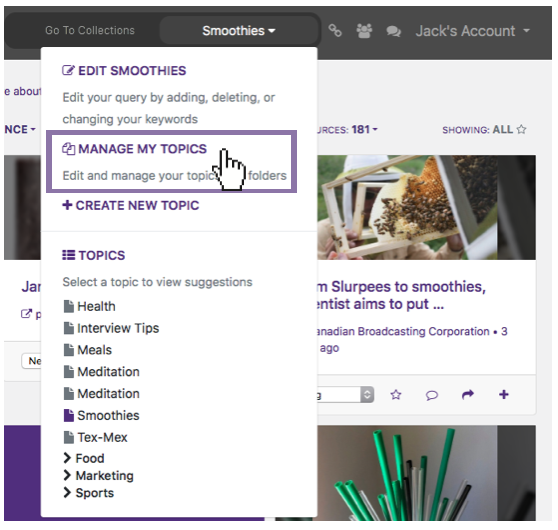 3 - By clicking into your account menu, then selecting, "Topics". 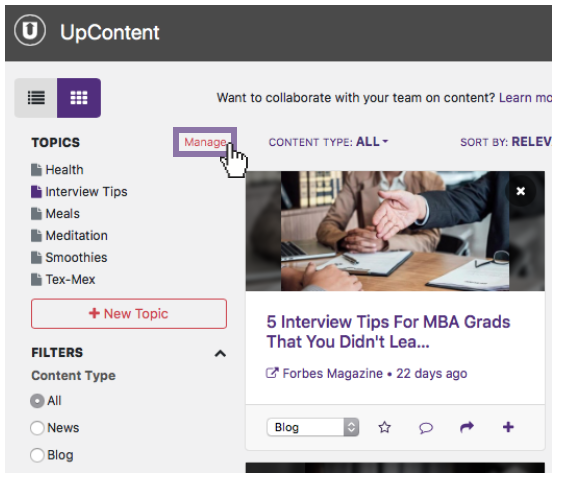 Once you've navigated to the topic management screen, you can move a topic(s) by selecting the topic(s) you wish to move and clicking "Move Topics". Note: If you don't currently have any folders, you will need to create your first one before being able to transfer them into a new folder. 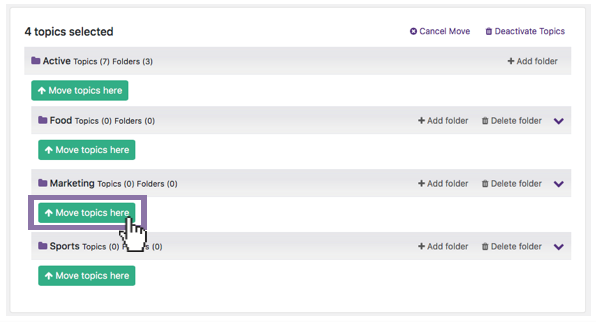 Complete the process by selecting the new folder in which you'd like your topics to live.